Jesus, what does it mean for me to clothe myself with your presence? 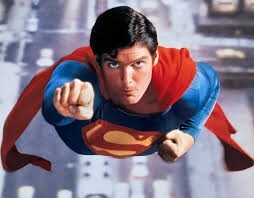 “Wow Lord, Believers in Christ are exactly like Clark Kent,” I agreed. This made me want to go to the Word and look for more evidence. Ephesians 4:22-24 clarifies ”22 that, in reference to your former manner of life, you lay aside the old self, which is being corrupted in accordance with the lusts of deceit, 23 and that you be renewed in the spirit of your mind, 24 and put on the new self, which in the likeness of God has been created in righteousness and holiness of the truth.” We are princes and princesses of the King of Kings and Lord of Lords. We are to strip off the old garments of our former powerless selves to reveal the superior Godly ones, like Clark does when he shows himself as Superman. 2 Peter 1:3-5 explains… “3 seeing that His divine power has granted to us everything pertaining to life and godliness, through the true knowledge of Him who called us by His own glory and excellence. 4 For by these He has granted to us His precious and magnificent promises, so that by them you may become partakers of the divine nature, having escaped the corruption that is in the world by lust. 5 Now for this very reason also, applying all diligence, in your faith supply moral excellence, and in your moral excellence, knowledge…” Because of the desire of the Father, the finished work of the Son, and through the power of the Holy Spirit, we now have the power and presence of God to do miraculous things according to God’s will. In order to equip us, we share in the divine nature of God. With great power comes great responsibility. Like Clark, we need to spend time with our Father to truly understand and use this power appropriately. “How do we access that truth, Lord?” I asked. “So, the secret to the power is believing the truth of my identity in you. That’s helpful Lord.” I reflected. If you are a believer in Christ, you are Superman/Superwoman. When a believer prays with a heart of faith, miracles happen. Just like Superman, these miracles often defy the physical laws of nature. Cancer simply disappears. Rain falls in the middle of a drought to stop a fire. Sight is restored to the blind. People are raised from the dead. People speak in unknown languages and souls are saved for eternity. God does miraculous things through those who surrender their will to the compassionate will of the Father. Lord, Thank you that you are God Almighty. All might and strength comes from You. Thank you that as a child of God, I can be clothed with your strength and righteousness and You can do miraculous things through me. Help me to desire to want Your will over my own and to not be afraid to let go of my own plans in favor of your miraculous ones. In Jesus name, Amen.